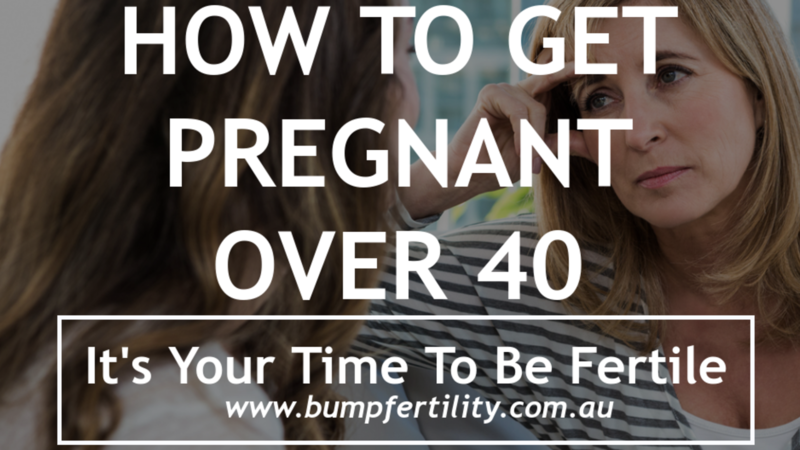 Many women are told age is a barrier to fertility, especially if you are trying to get pregnant over 35. Although chronological age can cause challenges, biological age; or the age of your cells, will play a much larger role in stopping you from conceiving either naturally or with IVF. What's important to remember is the hidden factors causing accelerated reproductive aging, can in most instances, be reversed with targeted and strategic natural support. Unfortunately the reality is, getting pregnant and having a healthy baby does become more difficult as women get older. This can be caused by the increased risk of underlying hidden fertility factors like PCOS (Polycystic Ovarian Disorder), endometriosis, thyroid problems, weight gain, immune problems, toxicity, high cholesterol, and many others. By the age of 36, the chance of a woman conceiving each month is decreased by almost half from the time that she was her most fertile in her early 20s. This downward trend continues and by the age of 45, the average chance of getting pregnant each month is just 1%. It is important to remember that there are over 120 modifiable hidden roadblocks to fertility that are not tested for in routine fertility checks. This is because the standard evaluation for fertility is usually based on a limited range of lab tests to meet a 'standard of care' for the population and may miss important roadblocks to your fertility. Take environmental pollutants for example. These contribute to unexplained infertility, yet are not included in routine fertility evaluations. This is why it is important to include both conventional assessments & functional lab testing to addresses the ROOT CAUSES of infertility. This approach provides the foundation for producing high quality eggs and sperm as well as correcting hormone imbalances & restoring fertility. Women in their late 30s and 40s should seek early investigation and expert testing for underlying roadblocks causing infertility. They should also seek expert nutritional and lifestyle guidance. Consulting a natural fertility specialist can dramatically increase your chances of conceiving. The important thing is to be aware, informed and realistic about the age-related reproductive decline and get to the cause. Are You Ready To Deal With The Key Factors You Need To Fix, To Turn Your Dream Of Getting Pregnant Into A Reality? BUMP® is a proven system that works particularly well for those when IVF has failed. Tell me about your journey by completing the form below. Once I receive it, we'll schedule a quick call with you to explain the best way for you to improve your fertility. Yes, Please Call Me ASAP! This 10 minute initial conversation is free of charge and enables us to gain an understanding of where you are up to in your fertility journey. It provides an opportunity for you to ask questions and find out which BUMPFertility service is best for you.